Autism Awareness Shirts - FAST St. Louis, Chicago, and more! Nothing raises awareness more than a group of friends and family wearing T shirts to show support autism awareness. Here at STL Shirt Co we know how important it is to look good while showing support. We provide the people of St. Louis with great looking and great quality Autism Awareness shirts. Whether it be walks, fundraisers or any other event, we have got you covered. One of the greatest things about ordering shirts from STL Shirt Co. is that we are the fastest in town. We have a normal turnaround time of only 3-5 business days. So even if you waited till the last minute for that person to sign up or call you back we have got you covered. Autism Awareness shirts are a breeze. 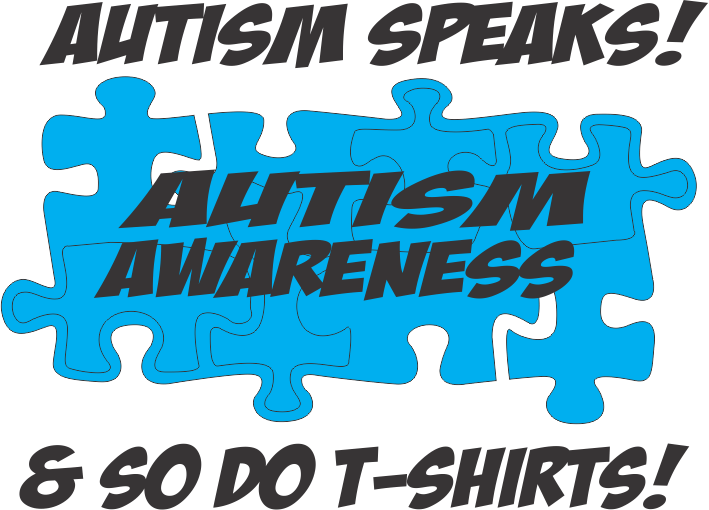 We have plenty of designs and great artists that can also help you create the perfect autism awareness shirt. So give us a call or send us an email today! we would be glad to take your order.